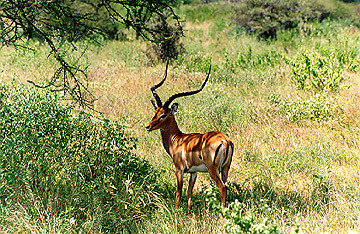 The Samburu Reserve is an arid land of scrub and semi-desert, sparsely populated by the Samburu people. 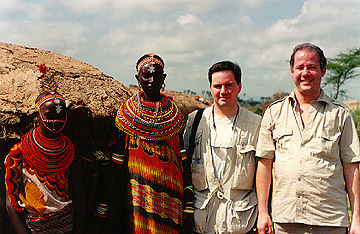 Water is supplied by the Uaso Nyiro River which acts as an oasis. 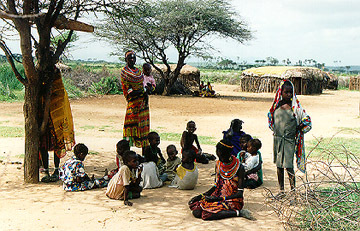 The Samburu people are related to the Masai and live in small settlements called Manyatta. The men herd cattle while the women tend to the children and build the homes. Their homes are reinforced with cow dung. 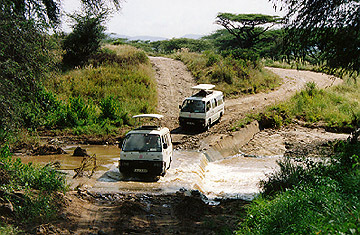 Because of the recent rains, some roads were difficult for our minibuses. 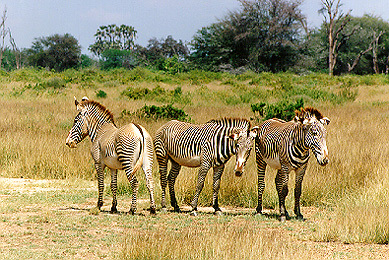 Grevy's Zebra watching for predators. 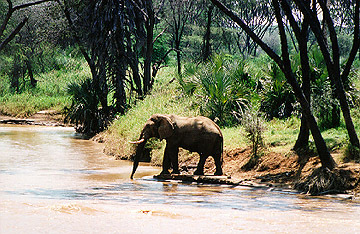 A bull elephant foraging alone along the river. The lone bull elephant is the most dangerous and unpredictable type of elephant. 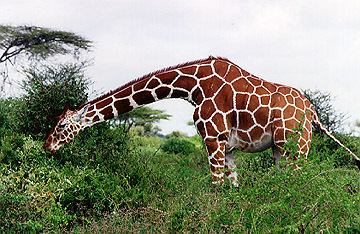 Giraffes, including this Reticulated Giraffe will also bend down in search of food. 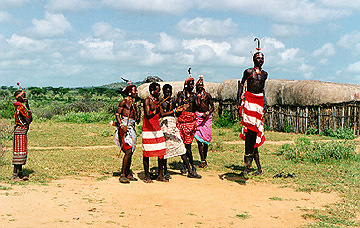 Some of the local Samburu warriors are performing a welcome dance for our group. I'm sure there are authentic elements in this dance done for tourists.